He faces nine counts of murder and three counts of attempted murder, but when will accused Charleston shooter Dylann Roof's trial start? On Thursday, a South Carolina judge set Roof's trial for July 11, 2016, The Washington Post reported. Roof has been charged with 33 federal violations, including nine counts of hate crime murder and three counts of attempted hate crime murder, and three counts of obstructing religion. 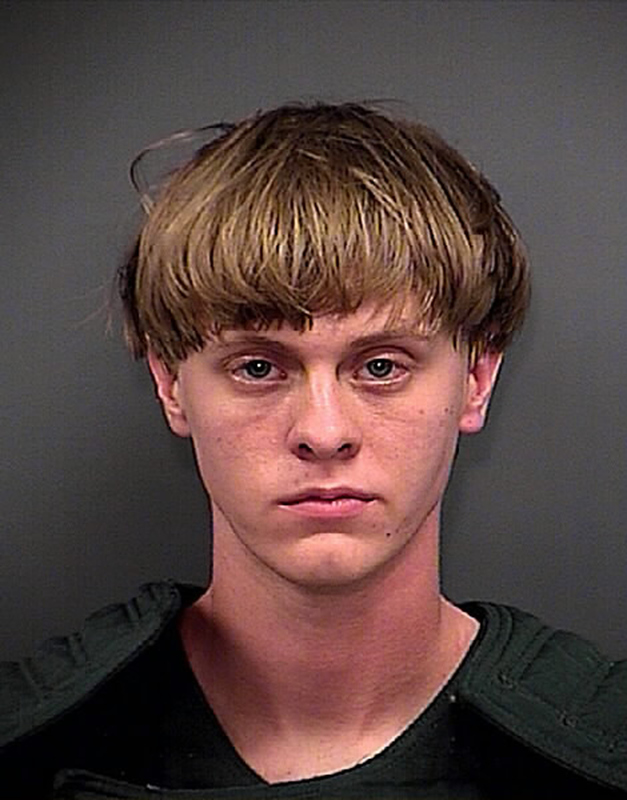 Many of the charges carry the death penalty if Roof is convicted. Roof allegedly opened fire on a Bible study group in the historic Emanuel AME Church in Charleston on June 17. He was caught less than a day later in Shelby, North Carolina. According to prosecutors, Roof claimed he was on a mission to start a race war when he allegedly shot Tywanza Sanders, Clementa Pickney, Ethel Lance, Myra Thompson, Sharonda Coleman-Singleton, Daniel Simmons, Cynthia Hurd, Susie Jackson, and DePayne Middleton Doctor. Roof could face the death penalty in the case, and Gov. Nikki Haley said she believes that's what Roof deserves. Prosecutor Scarlett Williams has said she will wait to decide whether to seek the death penalty against Roof after she speaks with the families of his victims. Ashley Pennington, Roof's public defender attorney, did not seek bond for his client. Attorney General Loretta Lynch called Roof's crimes "domestic terrorism," saying he aimed to "carry out these twin goals of fanning racial flames and exacting revenge." Following the shootings, pictures of Roof with a Confederate flag and Apartheid-era flags began to emerge, and the survivors of the shootings told authorities that before he began shooting, Roof said he was at the church "to kill black people." The funerals for Roof's victims drew national attention, with President Obama giving the eulogy for Rev. Pinckney, who was a friend. He spoke eloquently of racial tensions and roused the audience by singing "Amazing Grace" from the podium. The last time Roof appeared in court, a few days after the shootings, the families of his victims all stood up to offer Roof their forgiveness. "We welcomed you Wednesday night in our Bible study with open arms," said Felicia Sanders, mother of Tywanza Sanders. "May God have mercy on you." Roof showed no emotion during the families' testimony. According to MSNBC, Roof is being held in a South Carolina jail, reportedly in the cell next to Michael Slager, the Charleston police officer charged with shooting unarmed Walter Scott in the back as Scott tried to flee.